Prepare to take your tastebuds on a tantalising tour of some of the World’s most popular dishes without the need for long-distance travel this Spring – all with a Cornish twist! 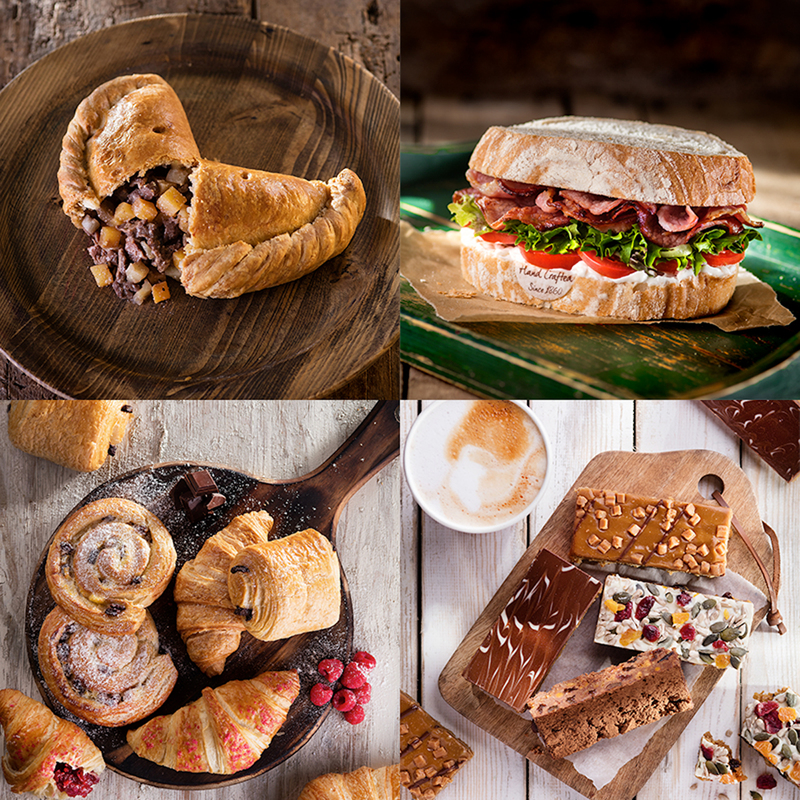 Tipped as one of the top three craft bakeries in the UK, our expert team are launching a brand-new limited-edition range of delicious pasties and sandwiches all of which are inspired by family meal-time favourites from around the globe. Following the first ever Cornish Pasty Week (25th Feb – 3rd March), we are launching an ‘Around the World in 80 Days’ range of savoury pasties, which will be accompanied alongside mirroring deli sandwiches. We will also be launching our first ever ‘Pasty Passport’, which customers have been able to pick up in our stores since 1st March. The new ‘Pasty Passport’ features a ‘travel check list’ to stamp each time a new pasty is bought from one of our stores throughout England. Each new flavour from the journey is only guaranteed to be on the shelves for two weeks before the journey continues to a new flavourful destination. Everyone who completes their journey around the pasty globe and tries the full ‘Around the World in 80 Days’ range will be able to redeem their fully-stamped Pasty Passport, receiving a free Medium Pasty of their choice in return! We have taken our long-time favourite bake and given it a worldly makeover. Perfect as a quick meal on the move, each unique flavour will only be available to purchase for two weeks with the first flavour to be revealed when available from the 12th March 2018. We will be putting the new pasties to the test, with the chance for some flavours to return at the end of the campaign journey. From Italy to Mexico, Texas to Morocco; the delicious yet-to-be-revealed Around the World range is inspired by iconic dishes that have become staple favourites around the globe. We are keeping each flavour secret until our journey begins on 12th March 2018. Guardians of the Cornish Pasty since 1860, we continue to hand-crimp all of their pasties in St Just, near Land’s End, where our expert crimpers are able to hand crimp three pasties every minute. The recipes and hand-craft skills have been passed down generation after generation. Hint: The first ‘Around the World in 80 Days’ pasty has been inspired by a beautifully exotic destination whose cuisine is full of taste and texture. This new pasty, the start of the adventure will officially arrive into stores from 12th March 2018. Be sure to pick up your ‘Pasty Passport’ and prepare to take your taste buds on a tantalising trip around the globe, without the need for long-distance travel this spring. To begin your journey, find your local store here.